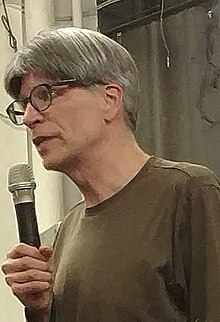 Richard Powers (born June 18, 1957) is an American novelist whose works explore the effects of modern science and technology. His novel The Echo Maker won the 2006 National Book Award for Fiction. He has also won many other awards over the course of his career, including a MacArthur Fellowship. As of 2018 Powers has published twelve novels and has taught at the University of Illinois and Stanford Universities. He won the 2019 Pulitzer Prize for Fiction for The Overstory.